On Thursday ITV Border came to Eyemouth. 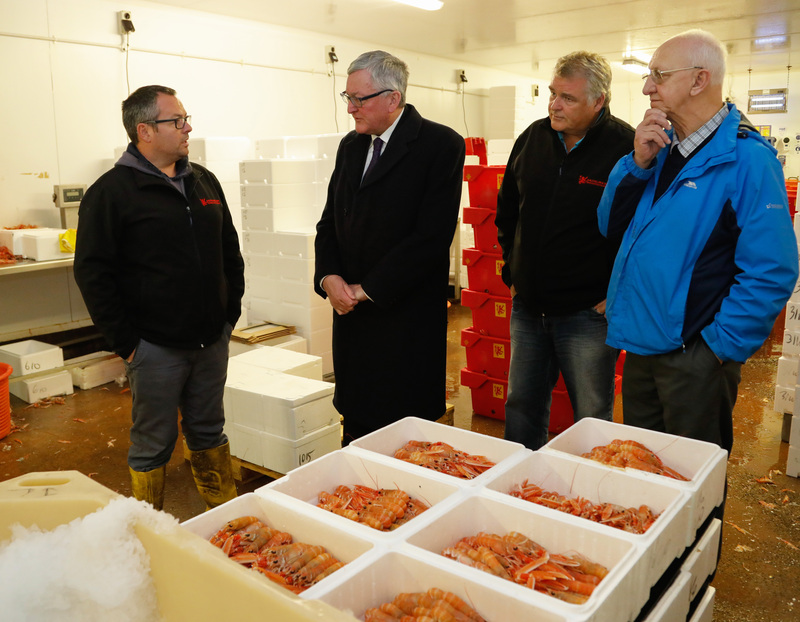 Fergus Ewing, Cabinet Secretary for the Rural Economy was there to speak to those involved in fishing and processing. The key meeting was with James Cook of D R Collin who send lorry loads of live langoustine to France and Spain daily. Shellfish account for 13% by tonnage of Scottish vessels’ landings but 32% by value. Fishermen landing Scottish langoustines obtain better prices for what they land. They are in the premium fish sector. But there is a ‘catch’ and the pun is extremely apposite. As the UK blunders on in mismanaging Brexit the market for this high value sea fish product and fishermen’s earnings are at risk. The main markets for Scottish langoustines are France, Spain and Italy. The highest value product is live langoustine, a major speciality of Eyemouth’s D. R. Collin. To maintain value this live product requires careful and specialist handling and rapid long distance transport to deliver the product to market in peak condition. Whilst the UK is a member of the EU, pre 29th March 2019, movement and rapid clearance at exit and entry ports is reasonably efficient. Outside the EU this trade is at great risk. The government is already preparing for blockage at ports with motorway sections identified for repurpose as lengthy lorry parks. Never has the UK faced such uncertainty to its trading arrangements with Europe. May’s Withdrawal Agreement provides for a transition period but not for the frictionless free movement she keeps talking about. An intention to stay in the Single Market and Customs Union would ease the impact of leaving as trading relations would be on a much more favourable basis. 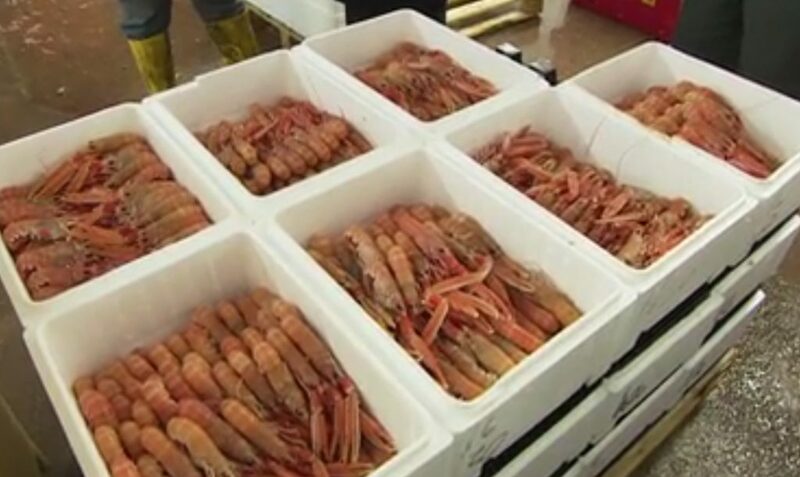 Not leaving, as Scotland voted for, keeps trade in goods and services, including live langoustines flowing and Scotland retains market for its high value food and drink sector. Fishermen don’t like the Common Fisheries Policy and the argument centres on quotas. When the market for Scottish seafood produce is Europe, there is not much point in catching more for a market you no longer have access to. Result, fall in prices and loss of income for Scotland’s fishermen. Langoustines that do get to Europe are more likely to be frozen, facing a 30% tariff and loss of the price premium on live product. What are the quotas on shellfish? There are no quotas on lobster and crab, valued income earners for Scottish inshore fishermen. The largest shellfish sector is langoustine (Nephrops) and it is the only shellfish species subject to quotas. 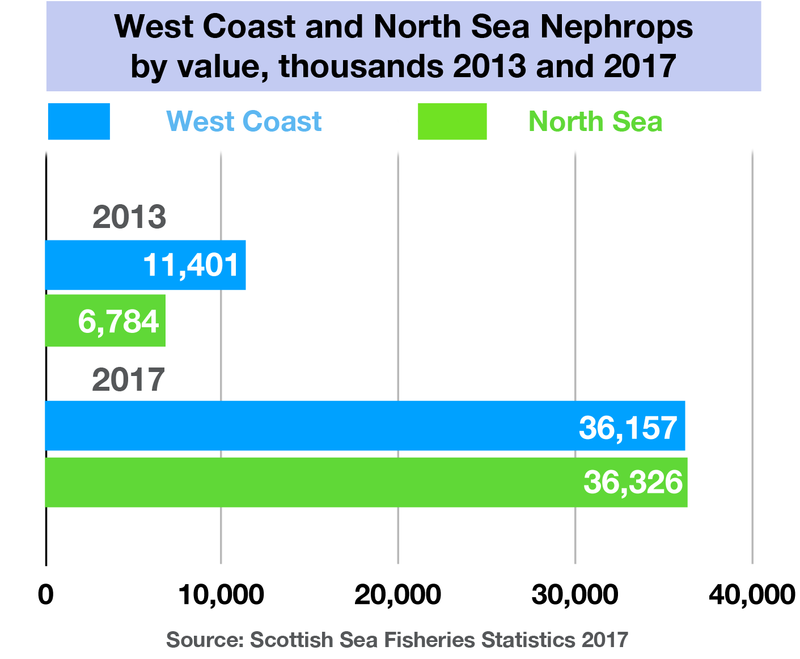 Scottish Producer Organisations enjoy 87% per cent of quota for North Sea Nephrops and 71% for West Coast Nephrops. How much are Langoustine (Nephrops) landings worth? In 2013 the combined value of North Sea and West Coast Nephrops landings amounted to £18,185,000. In 2017 combined landings had risen to £72,393,000. Within just 4 years the value of Scottish Nephrops landed quadrupled in value. How well is Eyemouth doing from fishing? This is not the real picture when the growth in landings and value of Nephrops has saved Eyemouth by moving to a higher value product, ably exploited to the benefit of local fishermen by the shrewd positioning of D R Collin, established locally back in 1952 when it mainly dealt in white fish. How much is D R Collin worth to Eyemouth? They employ around 120 people whose income circulates around the local economy, in turn supporting other jobs. 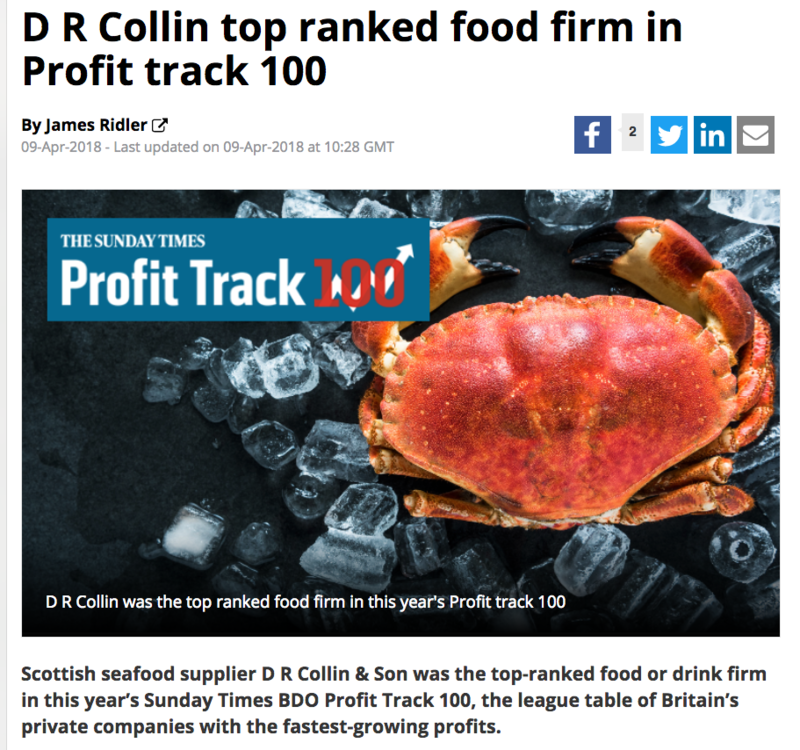 D. R. Collin is a success story having repositioned into shellfish, mainly Langoustines (Nephrops) and landing the Sunday Times accolade of membership of the 100 most profitable food companies in the UK. Under Managing Director James Cook, D. R. Collin has thrived. Back in 2013 turnover was £13.6 million. Turnover in their April 2017 results rose to £43.9 million and the last accounts to April 2018 show a further increase to £49.8million. This is impressive growth and Eyemouth has benefited. The fishermen have a market that could well now be in great danger. Income shares on the smaller boats are always tight but those who have switched to Nephrops moved with changes in market opportunity. John Lamont was asked by Newsnet to respond to the news on the D.R. Collin story, specifically on the issues raised about future market access as the CFP has no bearing on this threat to the Eyemouth economy. There was no response by the time we went to press. “This news is a cause of very serious concern as D R Collin is not only a great success story, and a source of great pride to Eyemouth and Berwickshire as a whole, given the excellent quality of the millions of pounds in value of langoustines and other products it sells and exports to European markets, but this well-led, local company is Eyemouth’s largest private employer and an engine of the local economy, generating much business for the harbour and suppliers. and key functions to inside the European Single Market, to avoid customs delays and import tariffs, because of uncertainty caused by the Brexit chaos created by Prime Minister May, is all the more shocking, as I know Jim Cook well and there are few more loyal to the town than he is. “Unaware of the immediacy of his concerns, I proactively raised the logistical and customs difficulties the company might face with UK Ministers, Chloe Smith and Jesse Norman, last Monday at the Joint Ministerial Council in London as an example of the harms being caused. “There has been much focus on the catching sector in recent weeks, but people must remember there are estimated to be in the region of nine times the number of jobs in processing and the loss of those jobs in towns like Eyemouth would leave a massive hole in the community and economy. “However, all is not lost; the European Union Court of Justice has given legal opinion in the matter raised by six Scottish Politicians, to the effect that the Article 50 process leading to Brexit can be unilaterally revoked by the UK Parliament. 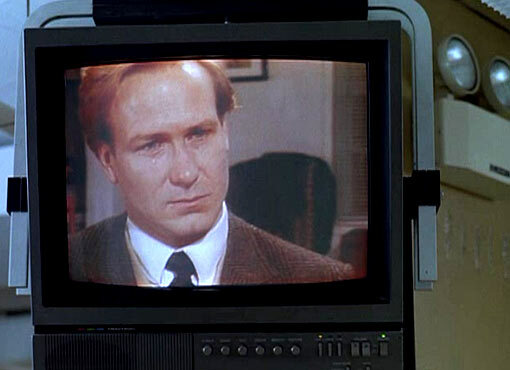 That, if confirmed in its formal judgement on Monday, could at the very least stop the clock, but should, in my view, be used to stop Brexit, and the need for D R Collin to relocate, altogether. “We still have the opportunity to retain membership of the Single Market and Customs Union, and retaining the ability to influence the rules too. 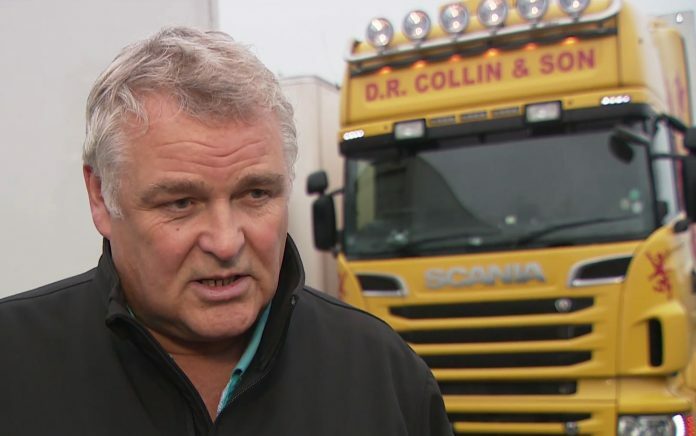 “Let us not forget 62% of Scots voted to Remain in the EU itself and I doubt anybody who did vote Leave in Eyemouth would have thought losing a key business like D R Collin a price worth paying. Newsnet backs the voice of the people of Scotland. 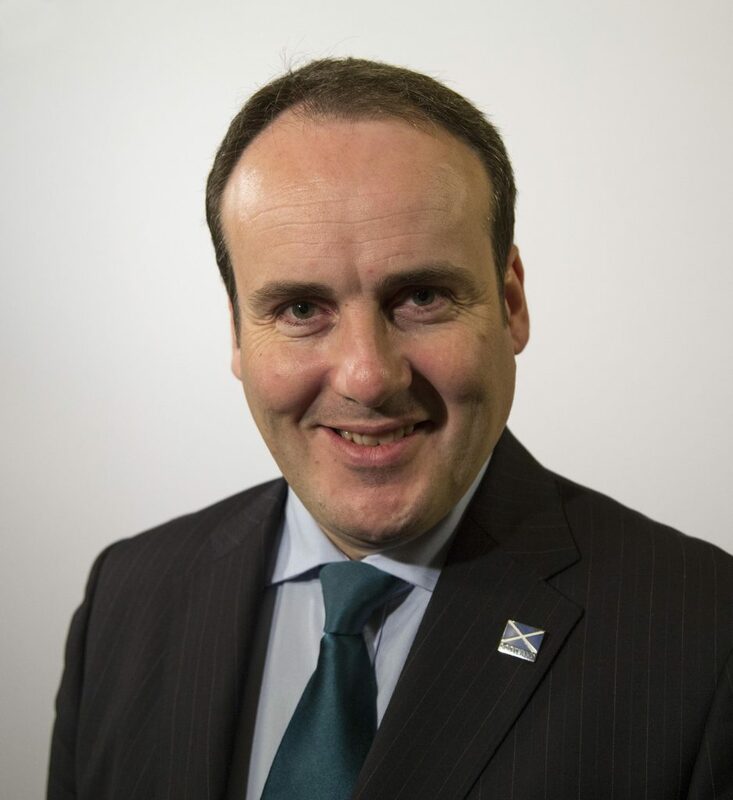 We believe that Scotland should become a member of the EU on our own terms, not the dislocated loose connection a confused Westminster is pursuing. The threat to D. R. Collin in Eyemouth is just the tip of iceberg damage the entire processing sector is now facing. Scotland pays its way through trade. Food and drink are key high value exports supporting thousands and thousands of jobs, overwhelmingly onshore. Staying in the Customs Union and the Single Market will offer maximum protection for the Scottish economy should England be determined to leave. Pulling the plug on Brexit and the UK remaining in the EU is the most advantageous option for Scotland and the UK as a whole. Norway is not in the CFP. It still has to allow access to Norwegian waters by others, including Scottish registered boats. Norway has lost 12,000 processing jobs to Poland due to the tariffs the EU imposes. Politicians need to stop winding fishermen up over the Common Fisheries Policy. It may not be perfect and there should be scope on quotas for an independent Scotland. What is important is access to market and the market is Europe. Catching more fish is pointless unless they can be delivered where the market demand exists. The people of Eyemouth need to rally round D R Collin and demand Westminster and local MP, John Lamont, choose the option that best protects the economy, community and a valued and successful local business.